Explore our “Equipment” section and learn everything there is to know about setting up your own equipment. You will also discover essential tools to look out for when taking on airsoft. Need something to transport & store your (Airsoft) gun? But you have no idea whether a gun case or gun bag is best? In this video we’ll do a comparison between a hard gun case and a soft gun case. 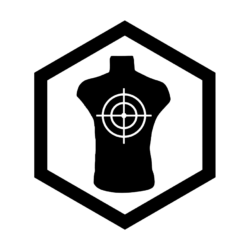 We’ll be going over the level of protection for your guns to the security they each provide to their features and more. So you can decide which suits your needs best for whatever shooting activity you do. 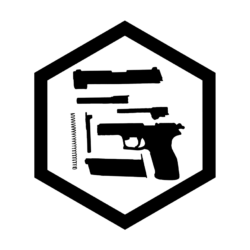 After the guide from our previous episode regarding the basic safety equipment it’s time to get you a quality Airsoft gun. If you’re spending money, you better spend it good, right from the start. A lot of guys (including us back in the day) don’t know where to spend their earnings when they enter the sport. And since it is an expensive sport, this quickly leads to bad buys. So, we decided to bring you the correct info to get you immediately started with a good basic loadout that will last you years to come. In this bootcamp episode we’ll focus on the actual Airsoft gun and everything that comes along with it.  Along the way we’ll also show you our personal recommended products. And after this we’ll show you what sort of budget is needed for the full quality starter kit, so you can make a proper start into the sport. Welcome back to Airsoft Bootcamp Maggot! So, if you’re convinced to make Airsoft into a hobby of yours, than the next decision is getting your first gear. This video will cover all the basic safety equipment (called PPEs) as well as a slight touch towards the Airsoft gun and the things that come along with it. Along the way we’ll also show you our personal recommended products. In this video we’ll go over the factors that make up a good quality Airsoft BB and we’ll also explain a few tests or experiments you can do at home to check their quality yourself. Good quality Airsoft BBs are essential for getting good shooting performance and prevent you damaging your gun. When it comes to selecting the right BB it comes down to 4 main factors and 2 quality aspects which you can test yourself at home. We’ll also cover the difference between bio and non-bio (or regular) BBs and give a short explanation on tracer BBs and how you can use them to your advantage as well. In this video Instinct goes over all the basic tactical gear we carry for doing Airsoft nowadays and which will be a basis for Milsim in the future. Here we go over all the “basic” equipment going from top to toe. We’re talking about boots, socks, underwear, pants, shirts, jackets, gloves, headwear, facial wear, ballistic glasses, cameras, etc. These kits form the basis to skirm in most weather conditions and we will gradually add stuff to these to eventually use it for more professional Milsim events. Don’t know what to look for when it comes to two way radios (for Airsoft & Milsim usage)? Look no further, because we’ll be covering everything you need to know so you can make a good buy. Choosing a two way (amateur) radio can be quite difficult. Since a lot has to do with legislation like licensed, non-licensed, PMR 446, FRS and GMRS services. Don’t know what to look for when it comes to tactical flashlights (for Airsoft & Milsim usage)? Look no further, because we’ll be covering everything you need to know so you can make a good buy. Flashlights can be widely used for very different tasks. They can be used for reading and visibility at nighttime, you can mount them on an AR, use them for pistol shooting, self-defense, etc. No wonder they are an essential basic part of edc gear. Even when it comes to flashlights, you can very rapidly be ripped off by some manufacturers. We’ll explain all the technical terms like lumen and Candela and what you need to look for to truly get the best tactical flashlights out there for your budget. In this video we go over our Airsoft rifle setups each worth €1700. We do a full break down of our Tokyo Marui Next Gen Recoil M4A1 SOPMOD and HK416 Devgru Airsoft rifle builds. We go over the questions why we chose these Airsoft rifles and explain all the custom internals, externals and accessories that make up these builds. And while doing so, Viper will also give you some handy tips along the way that may help you for your own rifle setup. In this video we do a full jpc break down of our own tactical plate carrier setup for doing Airsoft. We go over our plate carriers and their differences. We also cover all the stuff we carry for this setup and explain their individual functionalities, placements and how we put that to use. This with the conjunction of our belts in mind. In other words, this video is packed with information, tips and tricks and ideas. This way you can use this knowledge and may apply it to your own tactical plate carrier setup. In this video we do a full break down of our own tactical belt setup for doing Airsoft & Milsim. We go over the belt itself and why we chose this sort of belt. We also cover all the stuff we carry for this setup and explain their individual functionalities, placements and how we put that to use. This with the conjunction of our plate carriers in mind. In other words, this video is packed with information, tips and tricks and ideas. This way you can use this knowledge and may apply it to your own tactical belt setup. Don’t know what to look for when it comes to tactical gun slings (for Airsoft & Milsim usage)? Look no further, because we’ll be covering everything you need to know so you can make a good buy. Gun slings can be divided in 3 main groups, namely: 1-point, 2-point and 3-point slings. What does this mean and which one should you get? Above that, they are also available with lots of different extra options nowadays, like bungee cords, quick release buckles, hybrid systems, etc. Your choice is highly affected on their advantages and disadvantages and what your personal needs are. Don’t worry if you have no clue yet, because we will help you ease your choice for a gun sling by comparing them to each other. 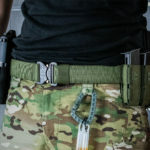 Don’t know what to look for when it comes to tactical belts (for Airsoft & Milsim usage)? Look no further, because we’ll be covering everything you need to know so you can make a good buy. 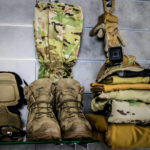 When it comes to these different kind of belts (threated/normal, equipment/tactical, MOLLE/battle/war) there are lots of advantages and disadvantages to take in consideration. We will also share some tips and thought processes. This gives you a better idea to make or adjust your own tactical first line gear or belt setup. Don’t know what to look for when it comes to ballistic safety glasses (for Airsoft & Milsim usage)? Look no further, because we’ll be covering everything you need to know so you can make a good buy. We go over the impact certifications (ANSI Z87, CE EN 166), shapes, materials, lens colors, anti-fog, anti-scratch and other features of ballistic safety glasses. If there’s one thing that is an absolute essential for any kind of shooting sport, then it will be eyewear. You only have one pair of eyes after all and running around with an eyepatch doesn’t really add to your “tacticool” presence. For this you don’t want to be close-handed and want to do serious research to protect your eyes. Especially for the Airsofters out there this is even more important, because doing our sport also means you’re getting shot at. In this very first unboxing video we’ll be taking a look at what could possibly be one of the best Airsoft AEGs to start your Airsoft hobby with. We’ll do a full unboxing and review and go over the externals, internals and it’s performance. Don’t know what to look for when it comes to tactical or hiking boots (for Airsoft & Milsim usage)? Look no further, because we’ll be covering everything you need to know so you can make a good buy. Whether it’s for your military service, hiking, airsoft, milsim or any other outdoor activities, having a foot injury almost always means game over! This is why getting proper tactical or hiking boots is so important. On the airsoft field we’ve seen a lot of people wearing the wrong kind of footwear and hurting themselves due to the rough and sometimes slippery terrain. We’ll go over the features your tactical or hiking boots need in order to function properly in outdoor environments. We’ll also learn you how to easily fit them. Our “Training” section focusses on training yourself to become better, as an individual and as a team. We will also teach you how to deal with certain equipment issues and how to put your equipment to good use. In our “Maintenance” section, you’ll learn to take care of your airsoft products to make them last as long as possible and outperform your competitors'. Good maintenance also saves you money, by the way!